I will amaze you with My presence, and thrill you by My power, says the LORD. For I will do the spectacular, and wow you with the things that you did not expect, that you did not ask me for, or even think about. 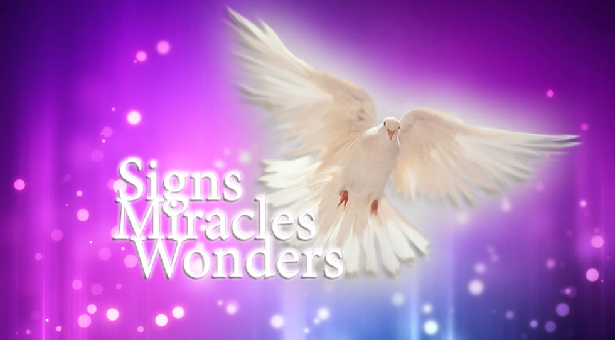 For the season of signs and wonders is now. I will put Myself on display to show that I AM the ALMIGHTY GOD in the midst of you. The limits are off. Nothing is impossible, and all things are purposeful and powerful as I draw people unto me by the demonstration of My Word. For My Word is not idle, but healing and delivering, penetrating and powerful. I will pour out My Spirit and My fire, and do great things, says the LORD. Do not limit me by fear and doubt and unbelief, says the LORD. Come into My presence with expectation and faith, that I will do wonders in the midst of you. Entertain My Spirit and believe for me to do what is impossible for any other power to do, and I will work according to your faith. My church will be a glorious church, and I will give you grace and glory. I AM GOD ALMIGHTY, and I cannot be put on a leash. Let My Spirit flow, and allow Me to do the leading, as you simply are led, and watch ME work. For I will empower My people, liberate them, and employ them to bring in the harvest that is ripe and ready for reaping, says the LORD. AMEN and AMEN. You are God indeed and Your words are yes and Amen. Thank You Lord! Thank you Lord for always being there. Amen Amen Amen I receive it! I believe it! Thank you Lord for everything you have done in my life and family!